Ensuring that the network is performing optimally for application delivery—across hybrid, physical, virtualized and software-defined network environments—is key to successful daily IT operations and the business outcomes that they support. SkyLIGHT™ PVX offers IT professionals an at-a-glance, real-time view of network performance and provides proactive monitoring dashboards to ensure that all network links are in working order. SkyLIGHT PVX displays an always up-to-date dashboard that summarizes the status of business-critical network links and proactively alerts IT teams in case of congestion as well as in case of performance degradation (e.g., increase in network latency or appearance of excessive packet loss rates, high utilization at the Ethernet and IP layers). In case of performance degradation, the IT team is notified in real-time with insight to its origin, duration, and the scope of its impact on users and applications. Whether network professionals are troubleshooting network latency or seeking to understand slow application performance, SkyLIGHT PVX supports hundreds of application and network service protocols providing IT teams with a complete picture of network and application usage trends and their evolution. What are the network requirements for each application? Which applications are using what amount of bandwidth? Which applications “talk” the most? What is the relational map of network flows? What are the network response times? Which users are accessing which servers? Where are those servers located? Which links may be saturated? Which applications and/or flow types are saturating them? Which new applications and what new traffic is present on the network? What is the evolution of traffic for a given application (e.g., bandwidth per user, time of day, variability)? What are the most bandwidth-consuming transactions for a given application? How to identify network performance issues. 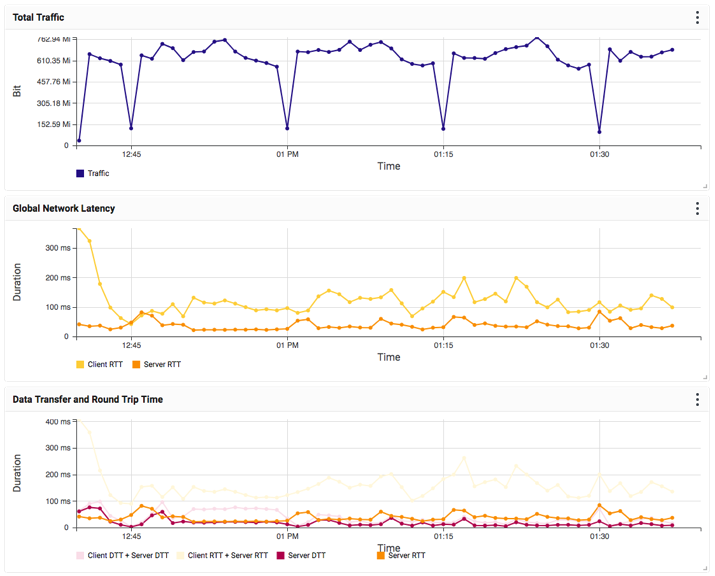 How to monitor and solve network latency issues.